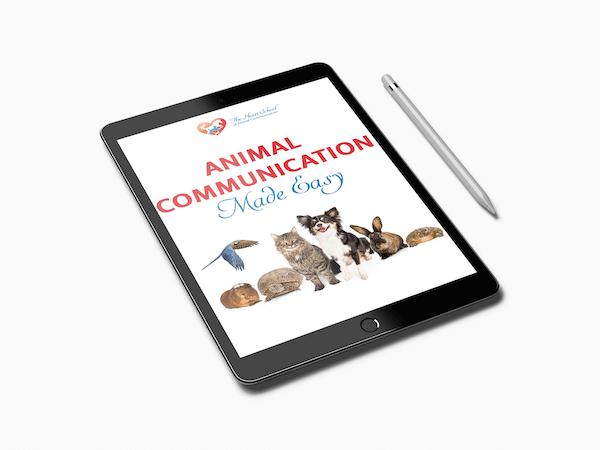 Welcome to Your Animal Communication Made Easy Course! All animal lovers, caretakers and guardians need to know how to awaken and tap into to the wisdom, beauty and extraordinary world of animals but not all animal lovers take the step(s) to learn how to cultivate a deeper relationship with animals by learning to speak their language. Soon you’ll be experiencing the fastest most direct method to connect and communicate with animals. You’re about to learn what animal communication actually is, how to open yourself to connect with animals, and the fastest most direct method to know what they are thinking and feeling. Let’s get started! Great! Click the complete/submit button below to go to the next lesson! NOTE: This course is an excerpt from the complete How to Talk to Animals Beginning Core Foundations Course. Val Heart is no ordinary animal communicator! She got her start communicating with animals in 1992 when she spontaneously solved the problem of her 2 kitties scratching her husbands expensive speakers! She went on to experience a miracle when a horse healed through a conversation. Today Val is a leading animal communicator, internationally recognized animal whisperer, master healer and teacher. She founded the Heart School of Animal Communication and specializes in solving problem with animals using her HEART system approach.